Israeli soldiers injured Friday, many Palestinians in Ras Karkar village, west of the central West Bank city of Ramallah, during a nonviolent procession against the Annexation Wall and Colonies, and the latest illegal annexation of Palestinian lands, wounding twelve, including a journalist, with rubber-coated steel bullets and causing many to suffer the effects of teargas inhalation. Media sources in the village said the soldiers resorted to the excessive use of force against the protesters, by firing scores of rubber-coated steel bullets, gas bombs and concussion grenades at them. They added that many protesters suffered the severe effects of teargas inhalation, and received the needed treatment by filed medics, while the soldiers chased several Palestinians in an attempt to abduct them. The soldiers also shot twelve Palestinians, including a journalist identified as Khaled Sabarna, with rubber-coated steel bullets. The attack took place in the ar-Reesan Mountain, which overlooks Ras Karkar, Kafr Ni’ma and Kharbatha Bani Harith, where Israel is planning to build a colony on illegally confiscated Palestinian lands. 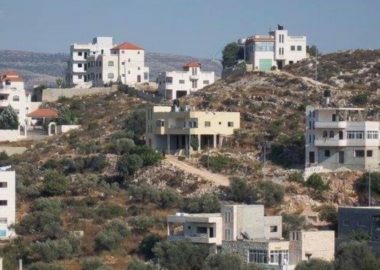 In related news, the army attacked the weekly procession in Kufur Qaddoum village, east of the northern West Bank city of Qalqilia, shot two Palestinians and caused many to suffer the effects of teargas inhalation. Also on Friday, the soldiers attacked the weekly nonviolent procession against the Annexation Wall and Colonies, in Bil’in village, west of Ramallah, wounding one Palestinian.